Power 37 kW 50 hp Width 1700 mm 71"
Speed 2400 r/min Height 2530 mm 100"
Fuel consumption <230 g kw.h Dumping height 2650 mm 104"
*Optional: Xinchai 490, Perkins and Cummins engine Dumping reach 1050 mm 41"
Loading Weight 1200 kg 2646 lbs Turning radius 3600 mm 142"
China Wheel Loader Suppliers - The RC12 wheel loader is a four-wheel drive with an oscillating back axle which makes it the ideal vehicle for both on and off-road works. 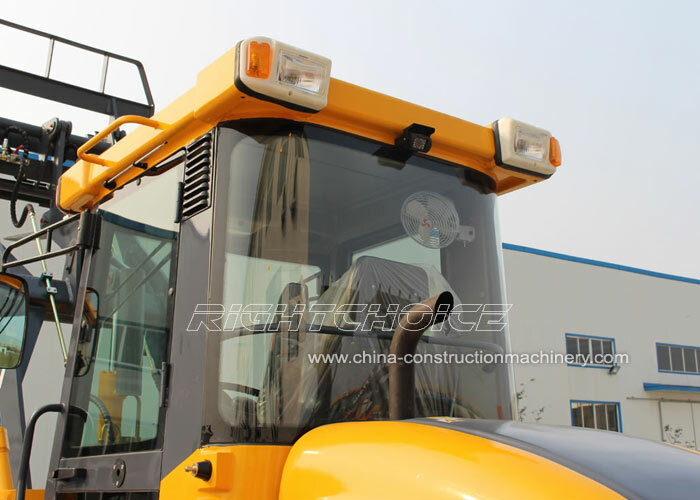 The RC12 is used in a variety of fields from coal and gravel yards, to road constructions and small to medium-size civil construction works. With a 3680 kg operating weight, a 1200 kg (1.2 ton) lifting capacity and a 0.7 m³ bucket size, this machine is able to perform optimally in confined and narrow sites due to its reduced minimum turning radius. 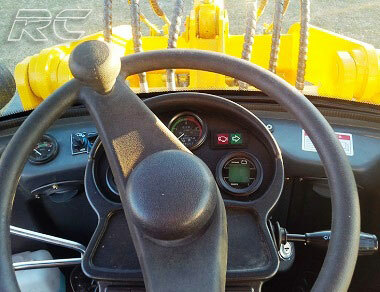 The array of attachments available for the RC12 means that its operator can perform an endless number of tasks. 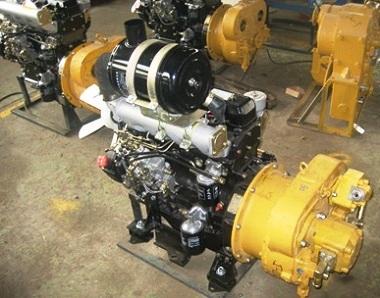 Changchai multi-cylinder engines are one of the most reliable and efficient engines in the Chinese market. It's compact size and dynamic structure enables optimal performance. 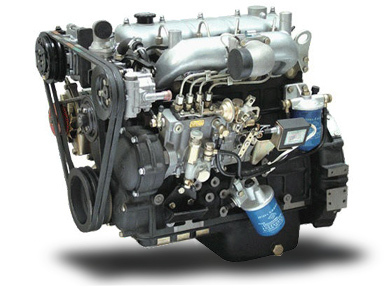 The Changchai 4L68 is a 4 cylinder diesel engine with a 50 hp (37 kW) at a speed of 2400 r/min. Its in-line, water cooled, 4-stroke engine has a fuel consumption ratio of under 230 g/kw.h. It has a max. torque of 160-170 N.m at 2100-2600 r/min and is capable of enduring the toughest conditions. 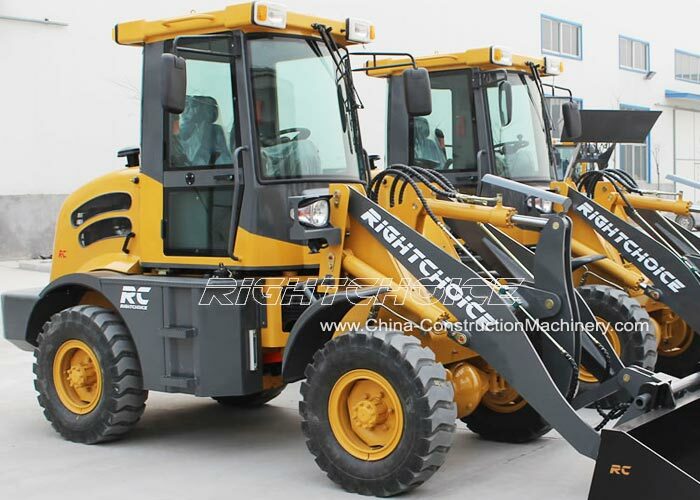 We also build the RC12 wheel loader with Xinchai 490/498, Perkins and Cummins engines according to our customers' requirements. 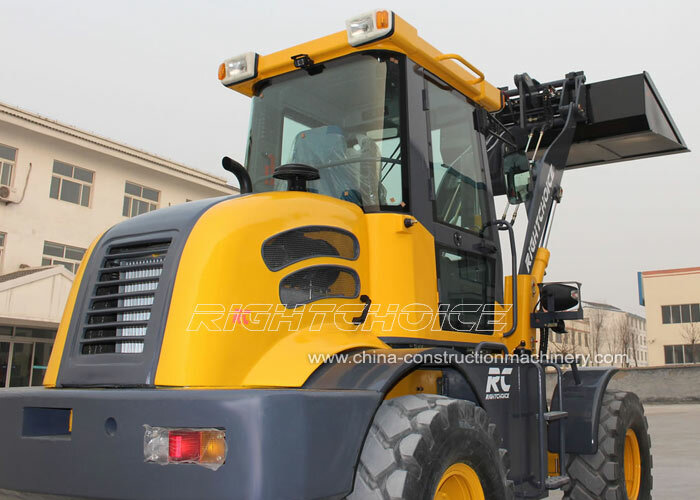 The RC12 model has a 5100 mm total length with its bucket on the ground, a 1700 mm width, a 2100 mm wheel base and a 260 mm minimum ground clearance. 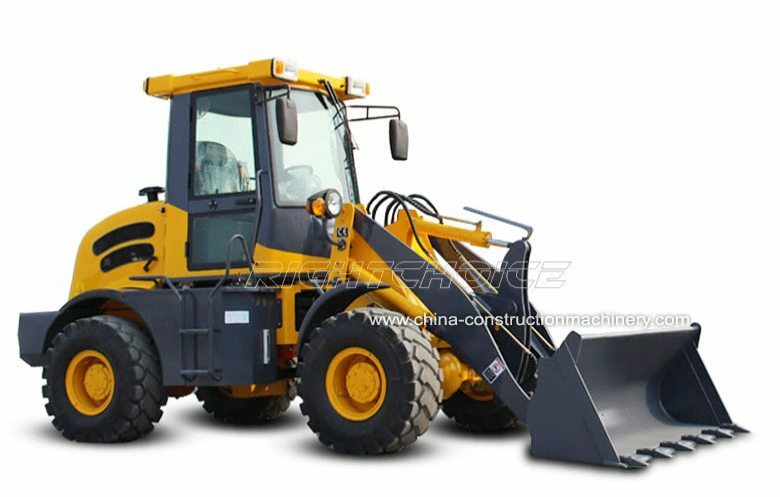 This durable compact wheel loader travels at a maximum speed of 16 km/h. 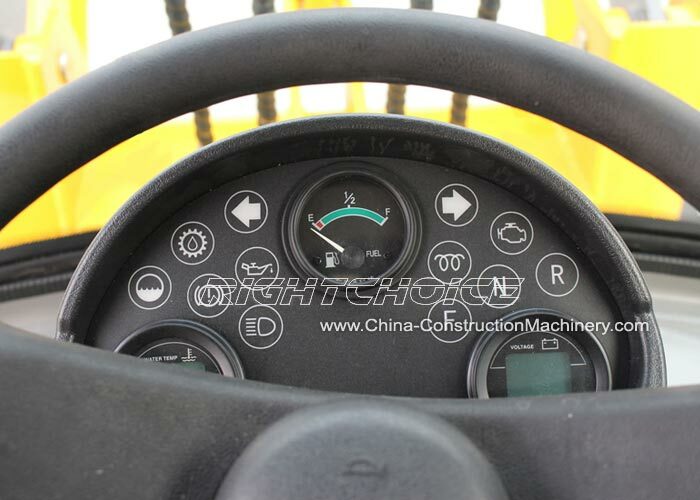 As one of the most innovative wheel loader suppliers and manufacturers in China, we are proud to say that RC12 is one of the most stable and efficient 1.2 ton wheel loaders in the market today. 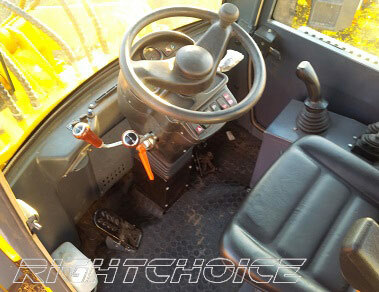 The RC12's luxury cabin provides the operator a comfortable environment from where to carry out all operations. Its E-mark shock proof seat, adjustable steering wheel and mechanical joystick gives the operator total control over the machine with minimum effort. The drive system consists of a YJ240, single-phase, single-stage radial-inward turbine triplex converter with a rated input speed of 2300 r/min. It has a fixed-spindle power shift gear box with two advanced and two reverse positions. Its transmission power is 35-40 kW at 2500 r/min. The drive pump used in this vehicle is a CBN-E316 gear pump at 16ml/r. 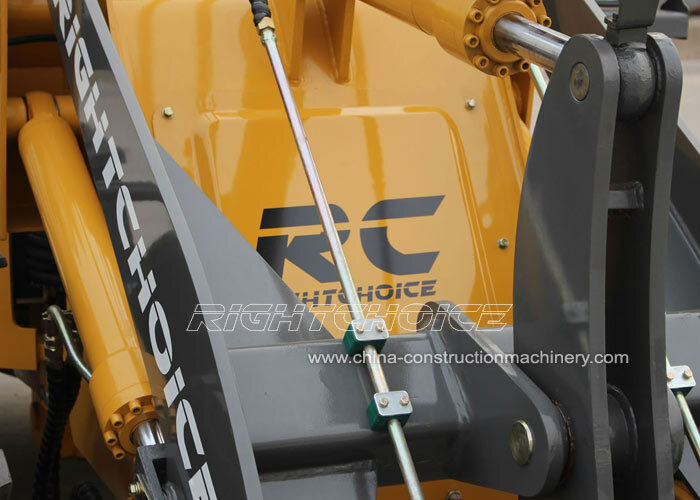 We manufacture an array of attachments for the RC12 model. 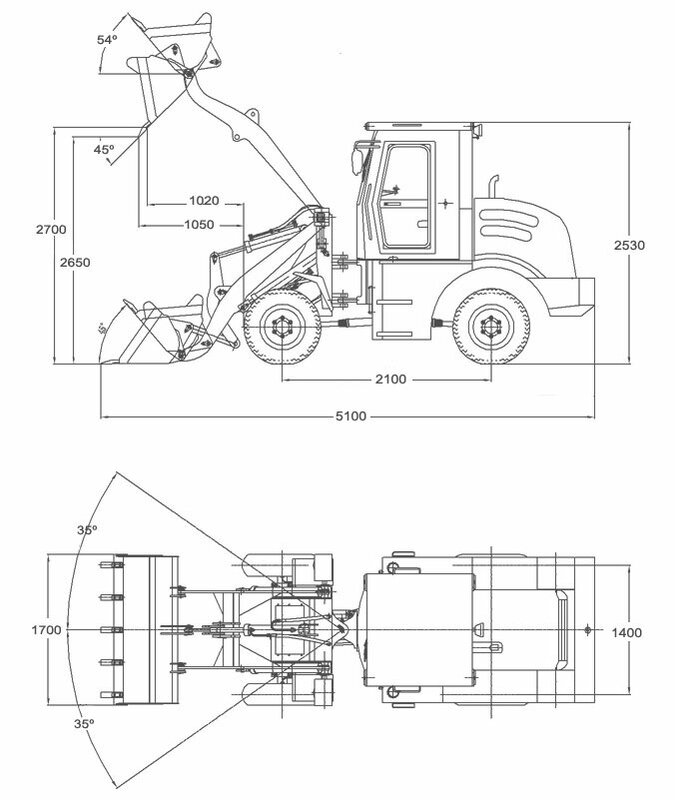 This includes pallet forks, adjustable pallet forks, 2 moving side snow blades, V type snow blades, snow buckets, 4-in-1 buckets, flat buckets, selecting buckets, mixing buckets, wood grapples, barrel grapples, European type barrel grapples, grass forks, European type grass forks, sweepers and sand spray equipment. 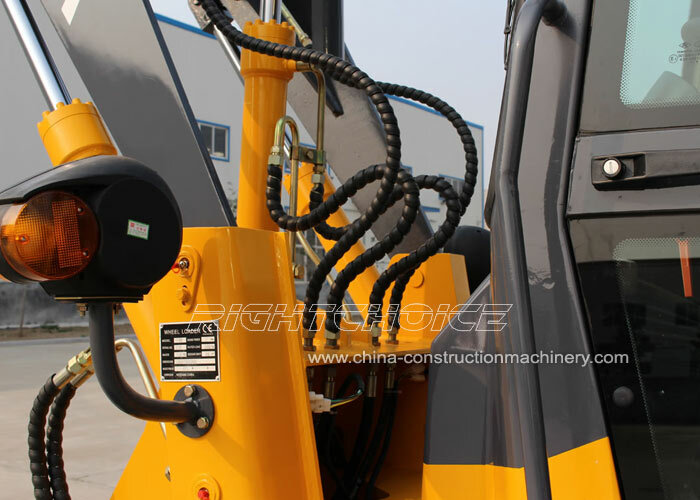 As one of the leading Chinese wheel loader suppliers and manufacturers, we offer extremely competitive rates on all our construction equipment, high-quality and an excellent post-sales service. For a quotation on any of our heavy construction machinery please feel free to send us a message.